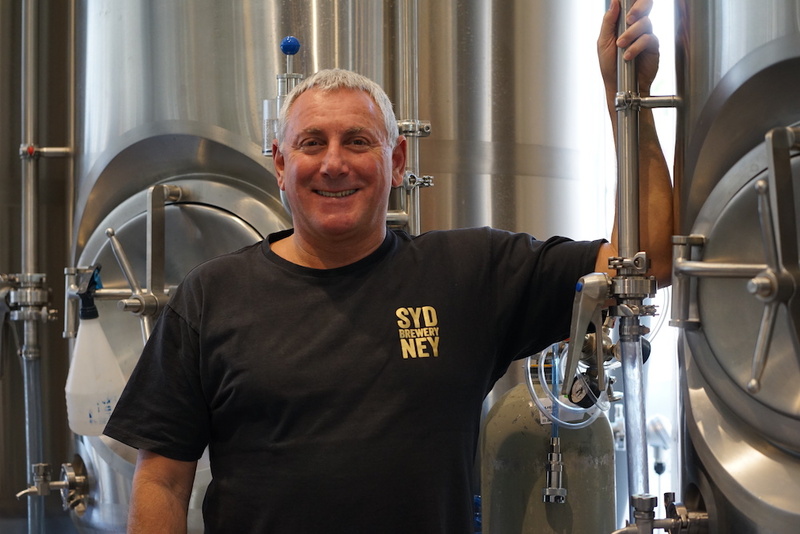 Trailblazing cider maker, Richard Feyn, Marketing Manager of Sydney Brewery, has been honing his skills and expanding their portfolio of fine beers and ciders over the last many years, but with experience that goes back over three decades. 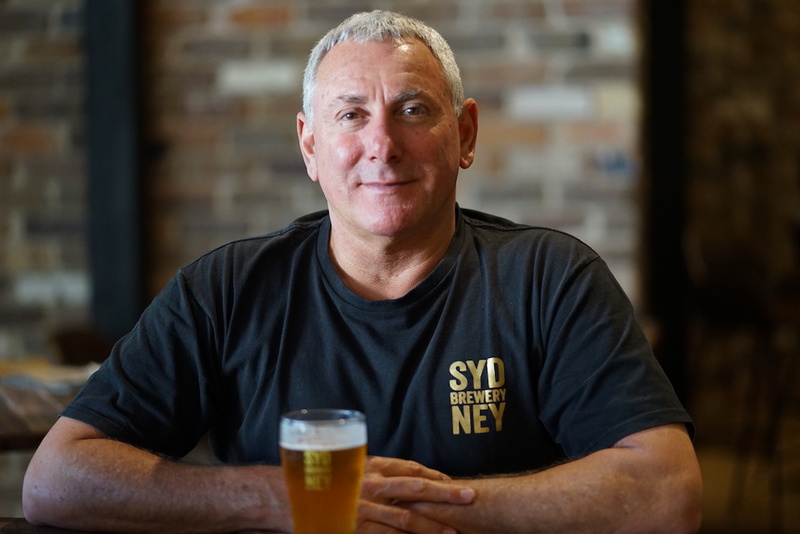 Drinks World recently caught up with the man himself at the new Sydney Brewery Surry Hills, nestled in next to and part of the Rydges Hotel on Albion Street. 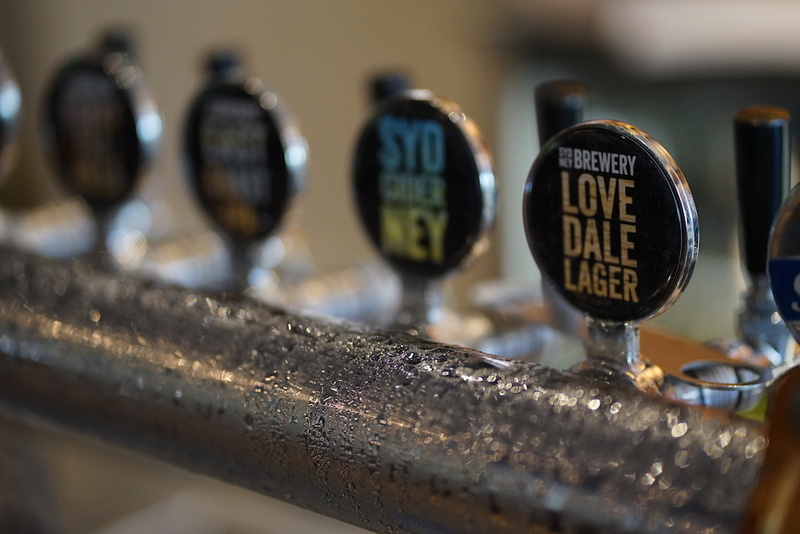 Sydney Brewery beers and ciders have been brewed and fermented both in Sydney and at Lovedale in the Hunter Valley, over the last few years. Just last month Sydney Brewery Surry Hills opened its doors with a refreshed fit-out and a bank of new stainless steel tanks and fermenters for some special and experimental releases, the first brewed on site is the Albion Ale, deliciously well balanced ale with bitterness balanced with subtle fruit and hoppy notes keeping it dry and bitter. 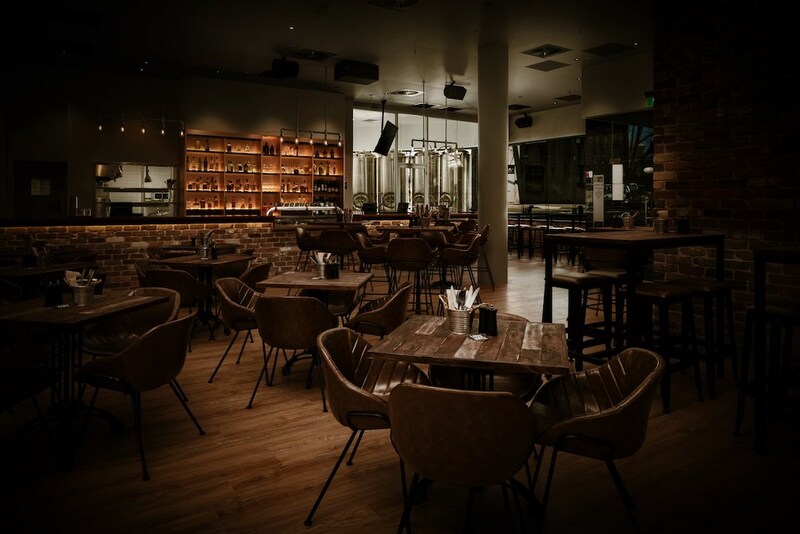 You’ll find the full range of Sydney Brewery beers on draft, can or bottle right in the heart of Surry Hills. With a reputation for naming his beers and ciders as a witty pun that has local relevance and that rolls off the tongue, it seems that Richard is at the point where if he loves a good pun that much, he’ll ferment a beverage just to make it a thing! 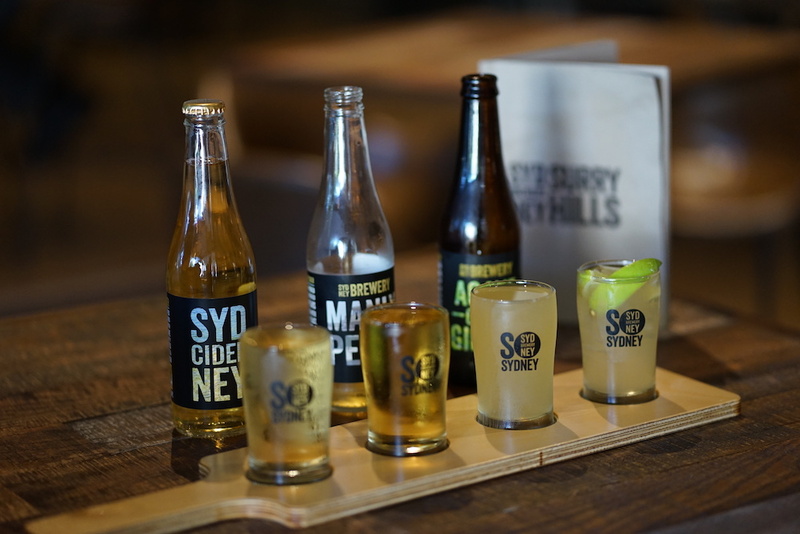 The origins of Sydney Cider in its various guises had its beginning as a pun that was too good to let go and it has slowly grown into a small empire of fermented beverages over the ensuing years. The current So Sydney campaign on social media continues the witty commentary on a wide variety of things that Sydney-siders can relate to. Drinks World asked Richard, apart from persistence and hard work, what does he attribute his recent successes of the ciders to? “It starts with the juice, when I first got involved we were sourcing apple juice from New Zealand for a few years but I’ve been using Adelaide Hills apples since 2002. The juice is one thing, it’s the Champagne yeast that has been the real winner for us. Then it’s a matter of getting the right balance by monitoring the temperature and filtration. By having a three to four week ferment, Sydney Brewery is able to produce an elegant and crisp style of cider that takes on its fruit flavour by carefully adding the right balance of flavours and acidity from apple juice. Similarly, with the highly regarded Agave Ginger Cider, its the careful addition of organic ginger juice and balancing that spiciness with agave syrup and getting the ratio perfectly balanced when blended with the apple cider, and the ongoing challenge is to get that right. 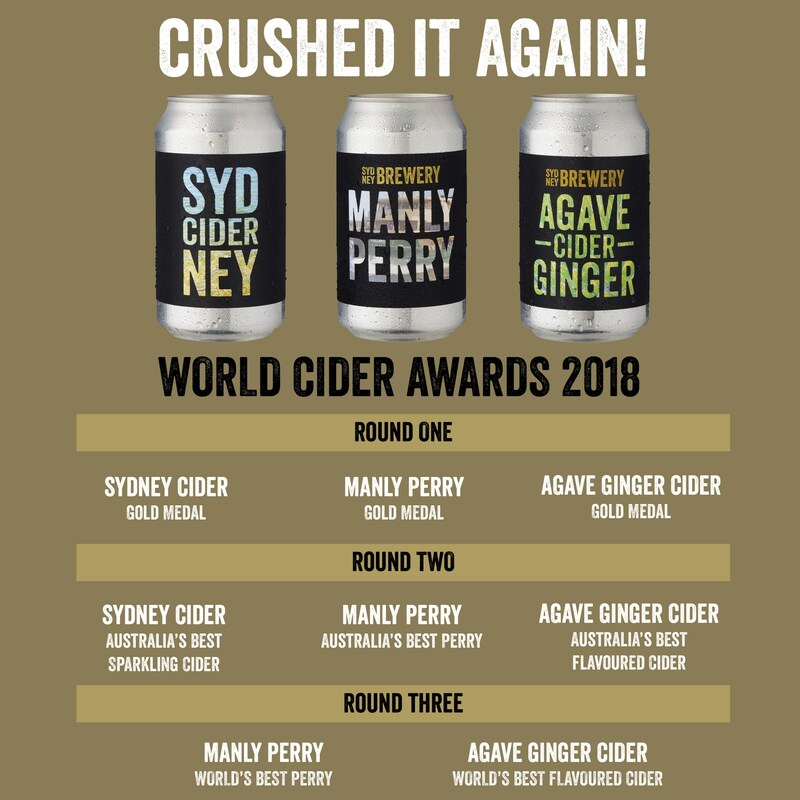 Judging on the recent award for World’s best flavoured cider, we think they’ve got it perfected. And not to be outdone, the recently awarded Manly Perry, apart from having a very witty pun, also has an elegant simplicity to its flavour profile. Crisp pear fruit flavour up front with a hint of floral and rounded sweetness in the mid palate and drying subtle pear acidity on the finish. Over the last couple of years Richard and Sydney Brewery has been an active supporter of the bar trade in Sydney with the annual Cider Cocktail Competition, previously won by T25 2018 bartenders Kurtis Bosley, Jono Carr and this year taken out by legend Dan Noble of Old Mate’s Place. Richard has been all about seeing his ciders as a cocktail ingredient for long drinks. Whether it’s the Agave Ginger cider with tequila or mezcal and a couple of lime wedges on ice, or the Sydney Cider with an Aussie gin and some lemon and elderflower as a nice riff on a Collins. Drinks World always looks on the bright cider life!